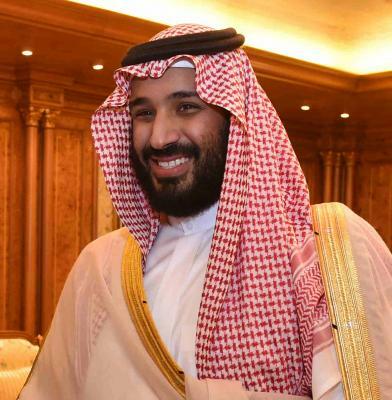 Islamabad, Feb 12 (IANS) Saudi Arabia's Crown Prince Mohammad Bin Salman will travel this weekend to Pakistan where he is expected to announce multi-billion dollar investments to help the Kingdom's traditional ally tide over financial crisis amid declining foreign exchange reserves. An official in the Pakistani Foreign Ministry, requesting anonymity, told Efe news on Tuesday that the Crown Prince will arrive in Islamabad on Saturday afternoon, accompanied by a 630-member delegation. He will leave the country on Sunday night. The Prince will meet Pakistan Prime Minister Imran Khan and the two sides will sign economic agreements worth $20 billion, according to the official, who did not elaborate in which sectors or projects the investments will be made. However, Prime Minister's Adviser on Commerce and Investment Razak Dawood told reporters on Monday that the two countries will sign agreements on oil, renewable energy and mining. "It is very likely that an agreement for $3 billion oil facility on deferred payments will also be signed during the visit," Dawood said. Pakistan is facing an economic crisis with a budget deficit that has escalated to 6.6 per cent of the Gross Domestic Product, a trade deficit and a shortage of foreign currencies. It is in talks with the International Monetary Fund for a loan of up to $12 billion. In October last year, Saudi Arabia promised to give Pakistan a $3 billion loan for a year as well as oil on deferred payment. The United Arab Emirates also announced in December that it would deposit $3 billion in Pakistan's central bank. Mohammad Bin Salman also known as MBS comes to Pakistan as his global image has taken a hit after the brutal murder of journalist Jamal Khashoggi in October at the Saudi Arabian Embassy in Istanbul. The journalist visited the consulate to collect some documents needed to marry his girlfriend. Turkish authorities alleged that a team of 15 Saudi agents, who travelled to Istanbul, strangled the journalist and dismembered his body before boarding a flight back to Riyadh. After initially refuting the accusations, Saudi Arabia admitted that Khashoggi was killed at its Embassy but continues to deny the involvement of the royal family. Several people linked to the case have been arrested. However, none of this seems to weigh on the Crown Prince's upcoming visit to Pakistan, whose Foreign Ministry appreciated the commitment of the Saudi government to initiate indictment proceedings against those responsible for Khashoggi's murder.